The app development has gained pace since the introduction of smartphones in the mobile industry. There has been a rare shift of desktop audience to mobile over the past. The app economy is booming and entrepreneurship has touched a new feat. 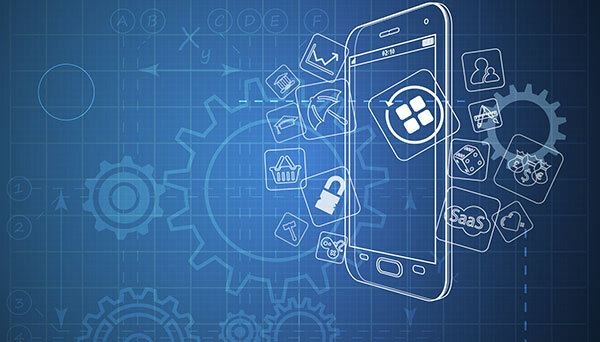 It has opened up the scope for app developers to make money. The companies are keenly looking for the best application developers to be the part of their team. If you are skilled enough to create marvels, there is a job with good pay for you in any app development company. But have you ever wondered about the breakdown of the cost to build an app. If not then here we talk about some of the major factors that affect the cost of app development. The Business Model – What is Needed? Each of these factors will influence the making of app. You need to be clear about your business model first. The developer will understand your business model clearly before proceeding with the design of the app. The iOS apps are easy and quicker to be developed as compared to the Android ones. This is one of the reasons why most of the companies launch their iOS app preceding the launch of Android app. Though the initial costing of apps developed for iOS or Android might slightly differ, but Android apps will take comparatively more time to be developed as compared to iOS application. Once we have decided the platform for developing the app, it’s the time to dive into the development phase. The type of app you are aiming to develop and its technical specifications will be the biggest factors to decide cost breakdown to build the app. The virtually and dynamicity of an app don’t have any limit. It is up to you what you want your app to look like. You can go for a database based application, table/list based application, completely dynamic application, or can even design a game-based application. The gaming applications are hardest to develop and it requires a lot of efforts to satisfy what the client needs. This is why these apps cost 4-5 times more than the actual cost of developing an app. The design of the app is the center of attraction. The customers buy things that attract their eyes. A jaw-dropping design can please many eyes. Your application needs to be designed professionally with right mix of colors, icons, and other elements. A high end design will definitely cost you more as it will have that appeal to attract the audience. The cost will depend on the elements that you add like buttons, tabs, icons, themes, splash screen, or any other that you think will please your app users. Now comes the real game changer! The business plan, the platform, the app functionality, and the level of design are all baked in the costs that cannot be really manipulated. The final cost to build the app will depend on the developer you choose. The freelancer developers can be the most affordable options for the app development, but you cannot rely on the quality of app they will develop for you. If you know a freelancer who is really good at app development then only you can take the risk. Hiring an app development agency can turn out to be the best option if you can afford a little more that you will be paying to the freelancer. You can always consider some of the big market players and get the quotes from the, Fix a meeting and judge them in terms of knowledge. You can always request them to cut short the app development cost and provide their best in your budget. The app development is a long process. The cost breakdown totally depends on the type of functionality and design you expect from the developer. Moreover, the final cost for building an app depends on the developer you are hiring. It is totally up to you whom you want to hire and what type of features you want your app to display. The average cost for developing an application will be around $10000, rest depends on the type of functionality your app will have.